Smile — Yes with laser teeth whitening you can banish stains and discolouration both quickly and comfortably! Our Pure Smile Laser enables us to whiten and brighten your teeth by up to 3-15 shades in only 30 minutes. The results are long-term and the treatment is safe on gums, teeth and other soft tissues, causing no sensitivity. The laser uses a blue light emission LED light to activate whitening gel trays that are placed on both your upper and lower teeth during the treatment. The light intensifies and releases hydroxyl radicals that react to reduce stains and then dissipate. The Pure Smile Laser Teeth Whitening is a cosmetic procedure, and we recommend you see a qualified dentist to diagnose any dental problems or for other dental treatments. If you are interested in whitening your teeth, you will find that there are so many different methods offered in Vancouver you can use to achieve the results you want. However, there are a few methods that are well known to be very effective in this, and are often used by people who need the results quickly. One of the most popular of these is laser teeth whitening. As the name suggests, laser teeth whitening involves using energy to activate oxygen in the gel that has been applied to the teeth. 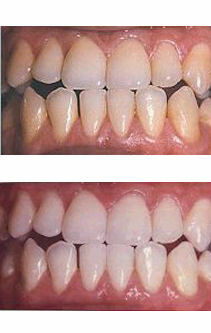 The whitening gel gently lifts off the stains from the teeth gently and leaving you with whiter teeth. There are a number of very obvious benefits of using this form as opposed to any other kind. For one, it’s very quick; you are likely to see the result within a matter of minutes or hours depending on factors such as how stained your teeth were when you got the treatment. This is as opposed to other forms of whitening such as the use of strips, which might take a few weeks or months for the results to show. The other benefit of this method is that it works for all kinds of teeth. Whether you had thinner teeth or teeth stained by coffee or tobacco, you will find that the use of laser whitening will be very effective in making the teeth lifting off stains and leaving you with very white. There are many people in Vancouver who are apprehensive about the use of laser teeth whitening due to the fact that it’s a bit more expensive than other forms of whitening. There are new systems for whitening now that are being used where the cost is lower than before and the results are quick and effective. You will get results after the procedure is just proof that this is more than worth it. In addition to that, when you maintain your results at home, your teeth can remain as white as they were the first time you had the treatment. After getting your treatment, you don’t need any special measures to keep the teeth white. The regular dental visits and hygiene that you would follow normally still apply. This means making sure that you brush your teeth at least twice a day, that you use floss and that you also learn how to brush your teeth properly. Always speak to your dental professional regarding any dental concerns. Once you complete the treatment, it is important that you avoid eating food and drinks that are likely to stain your teeth. The most important of these include coffee, smoking cigarettes and avoiding soda. Using a home maintenance kit or home maintenance whitening pen once a week can help lift off the new and light surface stains before they accumulate. In summary, laser teeth whitening treatment in Vancouver is something that makes a lot of sense, especially if you are the kind of person who wants to have a more beautiful smile in one visit! 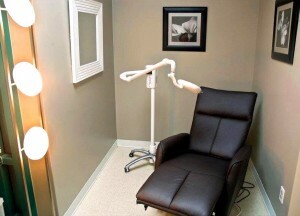 Give us a call at (604) 568 8041 to schedule a time to discuss your laser teeth whitening treatment.